Based in Cornwall, the surfing & windsurfing Mecca of the United Kingdom, Protection Racket grew out of a love of the sea, surf, sun & good music - GOOD VIBRATIONS! Now celebrating our 25th Anniversary, we’ve been doing this for a long time! We made our name making surfboard & windsurf board bags, these boards are fragile and PR surfboard bags are still travelling the world to this day. The design of our cases are the exact same Specifications from the exact same materials, “if it ain/t broke, don’t fix it”. Of course we have made refinements and improvements as you’d expect. Unbreakable zips, cool silicone badges & luggage tags, waterproof backings, comfortable handles, all designed to make your life on the road that much easier. Effortless transportation & maximum protection!! Our mission is simple; To provide the musicians of the world with musical instrument transportation systems of the highest quality, that combine effortless transportation & functionality with maximum protection, whatever the gig. 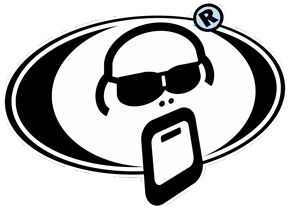 As a company, we are dedicated to providing the ultimate in customer service & satisfaction, and through our products, choice & total confidence in the Protection Racket brand.